Rep. Michael Simpson, R-Idaho, delayed the U.S. EPA's health assessment on arsenic. Arsenic occurs naturally, and Michigan is one of a handful of states with unusually high arsenic concentrations in groundwater. Arsenic was also used in insecticides for many years and it's still being used in some weed killers. David Heath is a senior reporter at the Center for Public Integrity, and he investigated why a health assessment on arsenic from the U.S. Environmental Protection Agency has been delayed. Why does this health assessment matter? Heath said when the EPA first wants to determine how dangerous a toxic chemical is, they first do the science. These assessments can take a long time and the arsenic assessment has been going on for more than a decade. "It's not until they have done the science to figure out exactly how dangerous a chemical is that they can really take action on it," Heath said. "So it really does come down to 'this is how they protect your health.'" A single member of Congress, Rep. Mike Simpson, R-Idaho, was able to intentionally delay the EPA's health assessment for years. Heath wanted to know why. 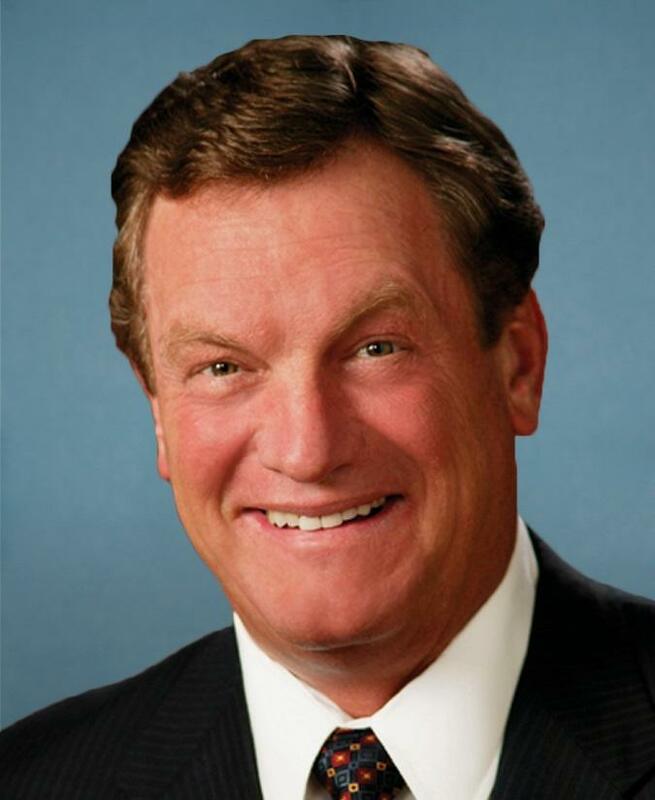 He pored through documents he had already collected and traced campaign contributions, but when asked directly, Rep. Simpson said he was concerned about whether the EPA's science was good. He also cited concerns about how much it would cost water companies to meet new EPA standards. In 2001, the EPA set a new standard for arsenic, and all water companies had to meet that standard by 2006. "Typically they met it well below that standard, so that if there were a new standard a lot of companies that already made these changes probably wouldn't have to do it again," said Heath. "Their product was slated to be banned at the end of last year... So they had been aggressively criticizing the EPA's science, trying to delay any new regulations that would come from it." Heath interviewed an executive at a pesticide company that sells a weed killer with arsenic in it. "Their product was slated to be banned at the end of last year… so they had been aggressively criticizing the EPA’s science, trying to delay any new regulations that would come from it," said Heath. The delay from Simpson forced the EPA to lift the ban on this weed killer and it remains on the market. "It had quite a huge financial impact on this company," said Heath. In the U.S., city water systems must meet the federal limit for arsenic, but if you're on a private well, there are no limits that have been set. According to Heath, states rely on the EPA for guidance on how toxic certain chemicals are because they don't have the resources to do the analysis themselves. Michigan had to do a lot to meet the 2001 standard change. "But the attitude, I think, was that once they did that, that was sort of the end of it. Until the EPA comes out with its new findings, I don't think you're going to see the state of Michigan really doing a whole lot," Heath said. To see our entire series on arsenic in Michigan, go to our page, Michigan's Silent Poison. And you can go here to find out more about testing your drinking water well for arsenic. *This story was reported in partnership with David Heath from the Center for Public Integrity and produced as part of a collaboration among the Center for Public Integrity, The Center for Investigative Reporting and Michigan Radio. 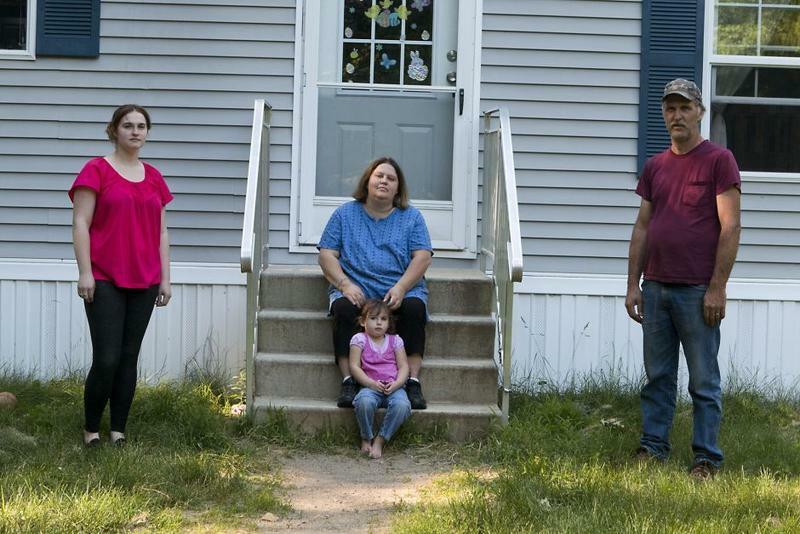 It was featured on Reveal, a new program from The Center for Investigative Reporting and PRX. In some parts of the U.S., arsenic in the groundwater is just a natural part of the geology. Michigan is one of several states where elevated levels of arsenic in ground water can be found. There was a big push to educate people about the dangers of arsenic poisoning around a decade ago, but in some places in Michigan, people still don't know much about it. And in some other cases, people know about it, but choose to ignore it, for one reason or another. It’s been called “the mother of all poisons.” You can't taste arsenic and you can’t smell it, which is why it’s been the poison of choice for centuries. “During the Middle Ages it was called the succession powder,” says Jerome Nriagu, professor emeritus of public health at the University of Michigan. “That’s the way people got rid of the kings and queens if they wanted to become the king or queen themselves,” he said. Arsenic, in very high doses, can kill you. But arsenic is a naturally occurring element and doctors and scientists like Nriagu are working hard to understand how arsenic affects us today. 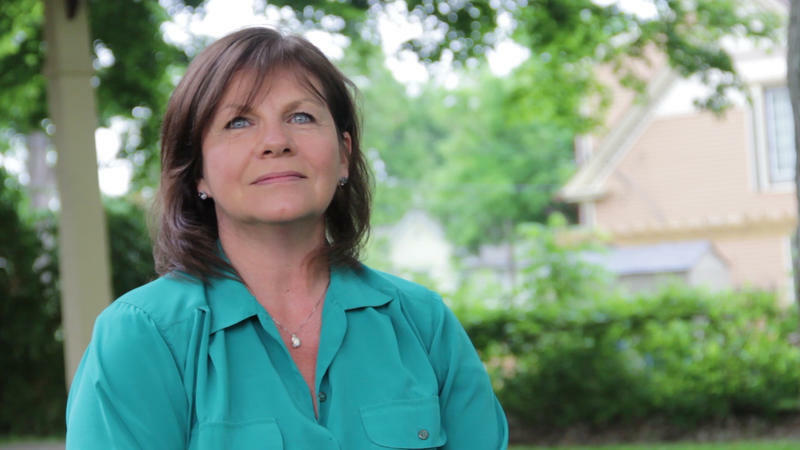 Renee Thompson and her family were sick for three years without having any idea why. “My children and my husband all became very ill after we moved into the house we had in Ortonville,” she said. At the time, Thompson had recently given birth to her third child, Danica. 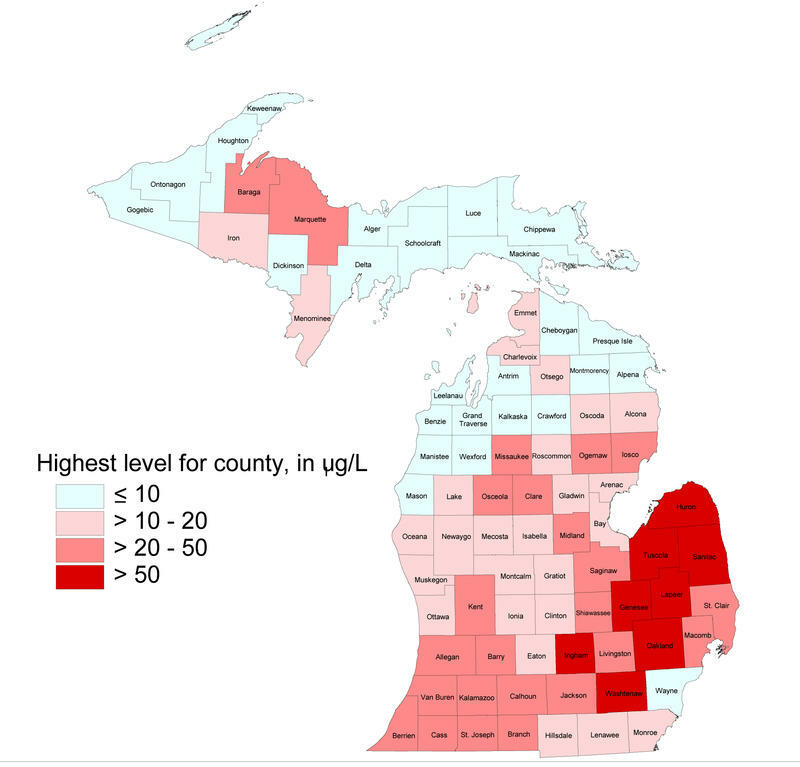 Michigan’s arsenic problem is among the worst in the nation. Here’s why that matters. If you’re on city water, your drinking water has to comply with a federal regulation that limits the amount of arsenic in it, but if you’re on a private well, the federal and state governments do not limit the amount of arsenic in your well. It’s up to you to test your well and decide whether to treat it. Arsenic occurs naturally in rock, and it can get into groundwater. Michigan is one of a handful of states with unusually high arsenic concentrations in groundwater. Parts of southeast Michigan – especially in the Thumb – have higher than average levels of arsenic in the groundwater. Arsenic can cause cancer. It’s been linked to bladder, lung and kidney cancer, and other serious health effects. If you’re on city water, there’s a federal regulation that limits the amount of arsenic in it, but if you’re on a private well, it’s up to you to find out whether there’s too much arsenic in your water. There’s no way to tell if arsenic is in your water without testing it. Arsenic has no taste and no smell. Certain parts of Michigan have higher than average levels of arsenic in groundwater. That’s especially true in the Thumb region and a few other counties in southeast Michigan. And that can be a problem if you’re on a private well. All this week, we’ve been talking about the potential for elevated levels of arsenic in groundwater in Michigan. Arsenic levels in Michigan’s groundwater can be high. Arsenic is bad for you. Scientists are finding health effects at lower exposure levels. If you’re on a well, test it for arsenic. If the levels are high, you should consider doing something about it. 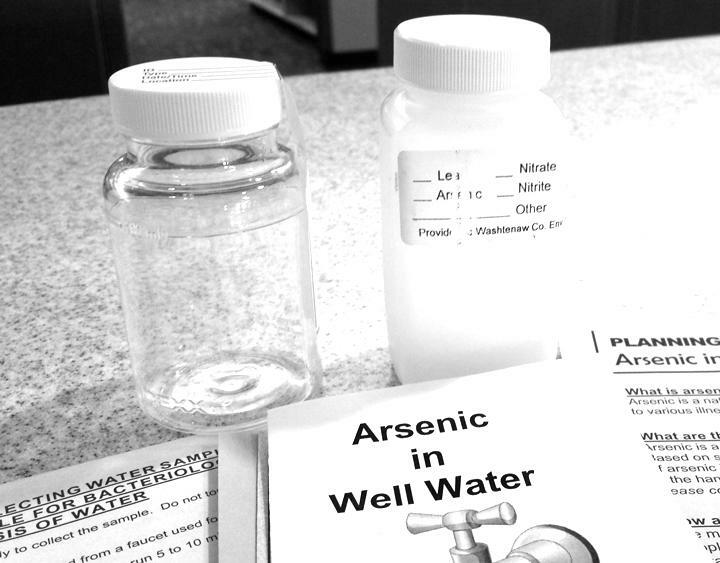 This week, the Environment Report is taking a look at Michigan’s silent poison — arsenic. Federal standards allow public drinking water supplies to have arsenic levels of up to 10 parts per billion (ppb), but these standards do not apply to private well owners (that's left up to the well owner to determine). And in counties throughout Michigan, some wells have much higher levels of arsenic than this "maximum contaminant level" set by the EPA. Higher levels of arsenic in drinking water have been linked to skin cancer, lung cancer, and bladder cancer, among others. But are lower levels of arsenic a threat to human health? Arsenic is a deadly poison, and there are people in Michigan getting arsenic at levels high above federal standards every time they drink the water coming from their taps. Michigan Radio's "The Environment Report" is presenting a five-part series this week called "Michigan's Silent Poison," in partnership with The Center for Public Integrity and the public radio show "Reveal." The Environment Report’s Rebecca Williams spoke on Stateside today, along with David Heath from the Center for Public Integrity. “No organ system goes untouched by arsenic,” Williams said. Extremely high doses of arsenic can kill you. Smaller doses have been linked to lung, bladder, skin, prostate, and liver cancers. You can also get arsenic poisoning with symptoms such as nausea, headaches, gastrointestinal pains, vomiting, and diarrhea. 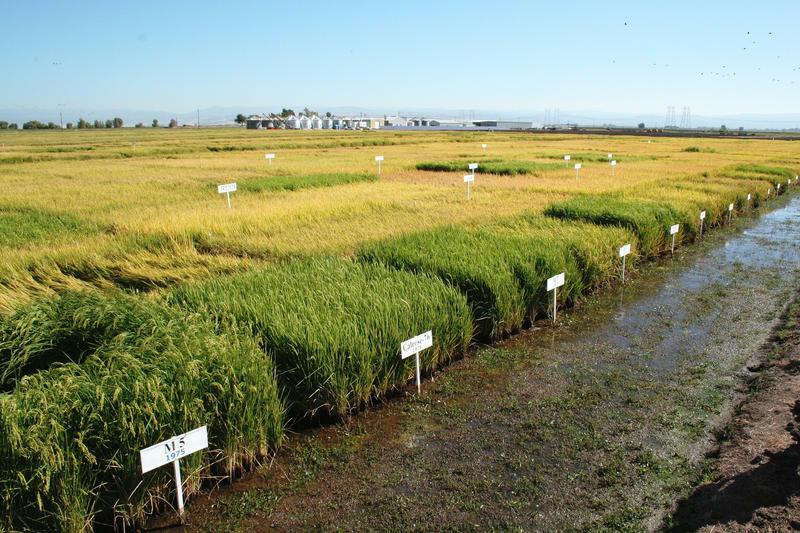 Arsenic can be found in rice, apple juice, beer and wine, and drinking water. 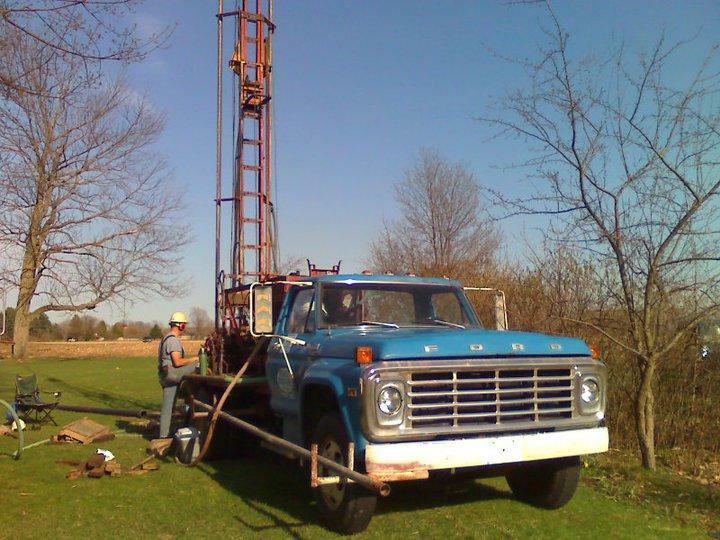 The levels are exceptionally high in private wells at people's homes, mostly in the thumb region of Michigan. Arsenic is nearly synonymous with poison. But most people don't realize that they consume small amounts of it in the food they eat and the water they drink. Recent research suggests even small levels of arsenic may be harmful. In fact, the U.S. Environmental Protection Agency has been prepared to say since 2008 that arsenic is 17 times more toxic as a carcinogen than the agency now reports. Women are especially vulnerable. EPA scientists have concluded that if 100,000 women consumed the legal limit of arsenic each day, 730 of them eventually would get lung or bladder cancer. 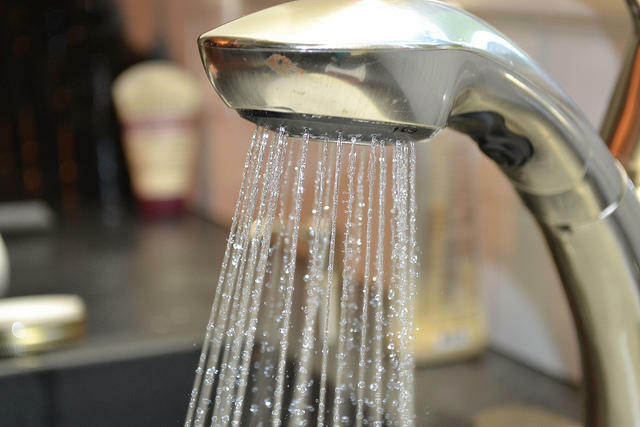 The EPA, however, hasn’t been able to make its findings official, an action that could trigger stricter drinking water standards. The roadblock: a single paragraph inserted into a committee report by a member of Congress, an investigation by the Center for Public Integrity found. Michigan Radio's "The Environment Report" has just wrapped up a week-long series called Michigan's Silent Poison. 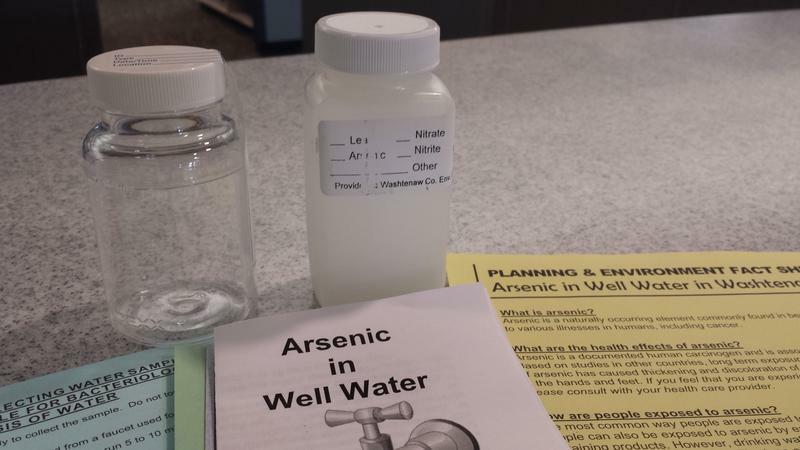 Reporter Rebecca Williams worked in partnership with the Center for Public Integrity and the public radio show Reveal to explore the problem of arsenic in well water. Williams said Michigan has a serious problem with arsenic in private wells that can lead to major health issues. Public water supplies have federal limits to regulate arsenic levels in water, however, private wells are not regulated. The Thumb region in Michigan has the largest problem with high arsenic levels in private wells. Levels are as high as 20 times more than the federal accepted limit for arsenic in public water. During the series Michigan’s Silent Poison, Williams made efforts to talk with someone from the Michigan Department of Community Health, but no one was made available. After the series aired, the Department said they would make someone available to speak. 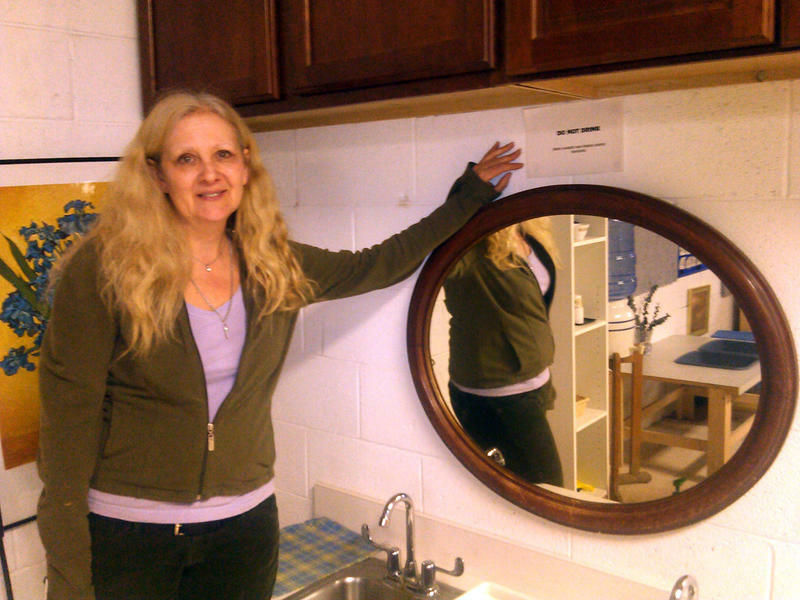 Jennifer Gray is a toxicologist with the Michigan Department of Community Health. She answered some of the questions on Stateside today.